Portugal provides a perfect vacation for every kind of travel preference. From the mountains to the beaches and just about every activity in between, Portugal has it all! The question people ask is not "Should I go to Portugal?" but "What should I pack?" We will answer your travel questions on packing perfectly for Portugal. Due to temperate temperatures, the spring and fall seasons are the best times to visit Portugal. However, spring in this country is full of festivities. Check out the list below for spring festivals that take place in Portugal. Though February is full of celebrations for the people of Portugal, this specific carnival in Funchal stands out from the rest. Each year is themed, with 2019's being Zodiac Signs. Carnival goers can dress up for the theme and join in on the celebration. Street parades, performances, costumes, and more fill Lisbon for one of the most festive celebrations in Portugal. Make sure to check out the coastlines as traditional style Portuguese boats sail especially for this holiday. This festival is a colorful display of Portuguese culture. Dance music from the past and present plays in Lisbon, and everyone can join in on the fun! If you enjoy dressing up, this festival is for you! Lisbon becomes full of people in bright masks and creative costumes. Celebrate the cultural ties of the Spanish and Portuguese regions by dressing up in a fun mask as well. It would make for a great souvenir! How Expensive is it to travel to Portugal? Portugal is a rather inexpensive country to visit. The flight and lodging will most likely be your biggest costs. For all the spending in between, having a budget can help make the trip more fun and stress-free. Start with your flight and lodging costs. Then from there divvy up what you can afford to spend on food, drinks, souvenirs, experiences, and miscellaneous. There are many different budget apps available to help you with this process, but you could just create a note in your phone and subtract each time you make a purchase. By the end of the trip you will be able to assess what categories you can afford to spend from. It is also fun to keep the budget and look back to see what items you bought. What Are the Ideal Clothes to Bring to Portugal? Tennis Shoes or Sneakers- There will be a lot of walking so comfortable shoes are a must-have. Socks-One pair per day. However, you can wash the socks in your bathroom and use floss as a clothes line if needed. Sandals- For those days on the beach or exploring the cities, sandals are ideal as long as you can wear them without them falling off or hurting your feet. A Dress - From the days on the beach, to going out to dinner, a flowing dress is perfect for Portugal. Stick with a dark color, lightweight fabric, and modest style for more versatility on your trip. Underwear – A clean pair of underwear daily is a good plan. You can always wash and reuse if you have a longer trip planned. Bras are slightly different as one can get by with just a sports bra and everyday bra because many days a swimsuit can be worn under your clothes. Tops – Choose a selection of neutral colored light shirts that can be layered. A couple of tank tops, a t-shirt, and a couple of lightweight long sleeve shirts should be fine for the spring. The summers are warmer so stick to clothes you can sweat a little in. Bottoms - A pair of casual cotton pants, a skirt, and a pair of shorts are needed for your trip. Jacket - In the spring it is a good idea to bring a jacket that you would not mind wearing daily. It is best if this jacket is waterproof. Swimsuit- There are so many beautiful beaches and swimming holes, a swimsuit may be just as important as your passport. A workout outfit - Whether a hike or the gym at your hotel, an athletic outfit is a good choice for optimal comfort and fitness. Nightwear - One set of pajamas will do, and it is best to bring some that can also be worn as street clothes, such as basic tees, athletic shorts, or leggings. Should I pack accessories or buy them? Accessories can make for perfect souvenirs, but some accessories you will still want to pack, just in case you cannot find what you need when you arrive. Hat and sunglasses- Sun protection is very important in Portugal! Sarong or scarf- A Sarong or large scarf can be a wonderful multipurpose item to have when traveling. Bring our own or pick one up as a souvenir. There are many of these to choose from. Day pack- Comfortably keep your items safe with a daypack to wear as you explore. Reusable bags- From the beach to the market, having a reusable bag will come in handy when you don't have enough hands. While many toiletries can be bought in Portugal, it is a good idea to bring along these items below. Tissues and wipes- A travel sized pack of tissues as well as wipes can be carried with you and they are usually a life saver for bathrooms without toilet paper. Hand Sanitizer or Travel Soap - Just as wipes will keep you prepared for less than favorable situations, the same goes for hand sanitizer. Traveling can compromise your immune system, so take the appropriate precautions to stay healthy while on your trip. Toothpaste and a Toothbrush- Keep these with you as you never know when you will feel the need to freshen up while traveling. Shampoo and Conditioner- Instead of bringing travel sized bottles of each, try out a conditioning shampoo bar. These are lightweight and take up less space in your pack. Towel - A travel towel can be used for many situations, but most of all it will be needed for the beach. Deodorant - This is a common-sense item for the hot climate of Portugal. Laundry Soap and Dryer Sheets- Keep your clothes fresh and smelling great! Contacts and Solution -Bring extra contacts just in case! What electronics should I bring along? Feel free to pack all your favorite electronics, just make sure they have proper cases to protect them from the wear and tear of travel. Here are some ideas of prime electronics to bring along with you. Electronic Books and Magazines- Save weight and space by downloading books and entertainment onto your electronic device. Headphones- Don't forget these for the long flight. Travel Adapter or Adapter Strip- Portugal uses type F outlets, also known as "Schuko" The C and E plugs can also be used. Make sure your adaptor also converts voltages. Charger and battery pack- An extra power bank is a lifesaver for long travel days. Extra Memory Card or Thumb Drive- You will want to have plenty of room for all the photos you will take. A device that has a digital translator – While English is widely spoken, there are situations where it will help to have a Portuguese translation. Should I be concerned about my safety or health? You should not be any more concerned to travel to Portugal than any other country. There are common sense precautions to take such as being careful with your personal items, using services from certified businesses, and bringing along the items below. Portugal is a divine destination full of festivals and fine weather. Lay out on the beaches, join in on the celebrations, or explore the cities. 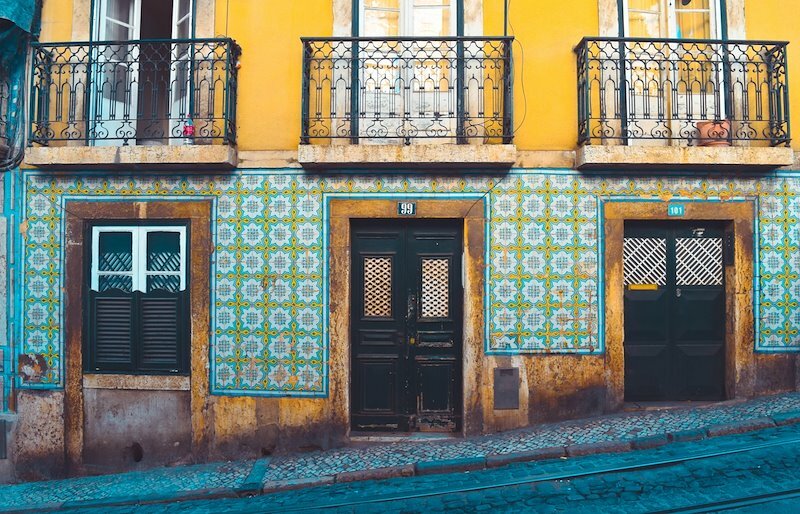 Portugal has it all to experience, and you will have it all packed away with the information above!